FoodSaver® systems keep food fresh up to 5x longer than ordinary storage methods like zipper bags, foil, plastic wrap and containers by removing air and moisture using specially-designed bags and containers. Save money using FoodSaver® systems by buying on sale and reducing the amount of food you waste each week. 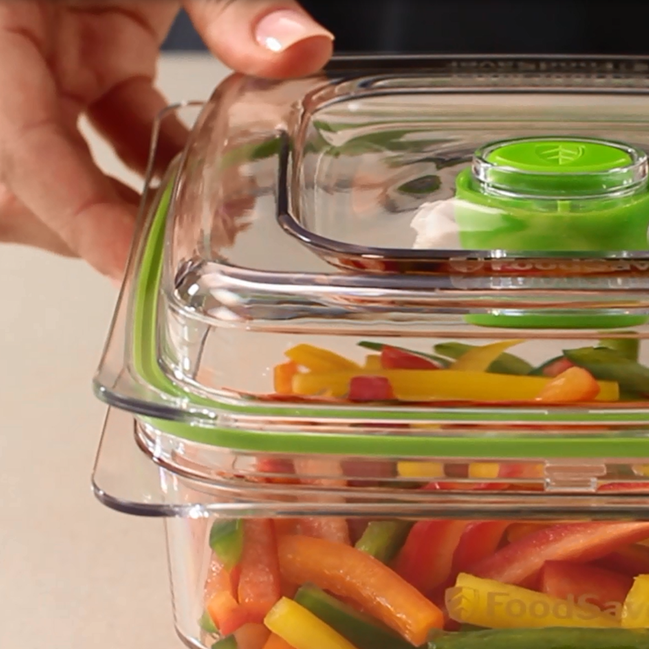 FoodSaver® systems are perfect for keeping those tasty leftovers for longer, as well as enabling you to batch-cook delicious homemade food and keep portions fresher for longer – ideal for busy weeks. 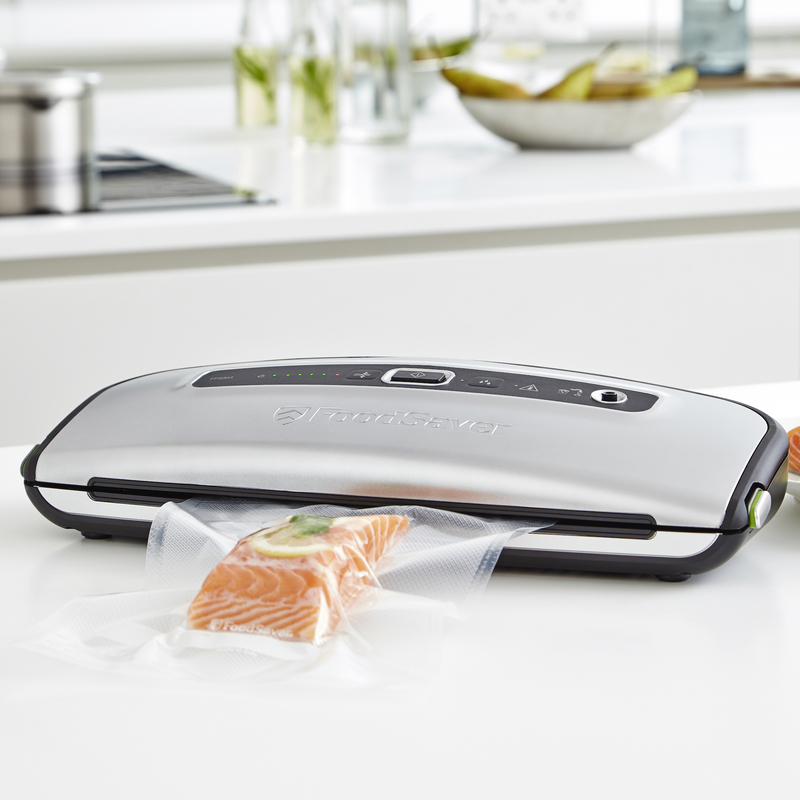 By using the tightest possible seals to prevent air and moisture from getting to your food, the FoodSaver® system locks in quality, taste and freshness five times longer than traditional methods – maintaining the fresh appearance of food and keeping all the nutrients and flavour locked inside. The BPA-free, multi-layered material and reinforced seal used in our bags and rolls ensures airtight storage to keep food fresh longer and reduces the risk of cross contamination against high risk foods (eg. raw chicken).